A perfect outfit to build your 18" doll wardrobe! 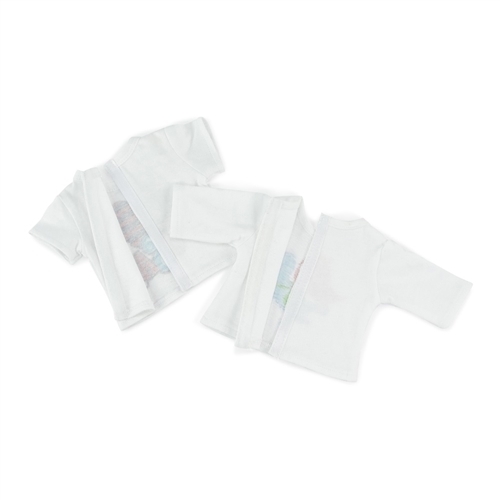 Includes an awesome pair of red lace leggings and 2 white graphic t-shirts, both of which have a full no grab Velcro closure in back, making them easy to get on and off. 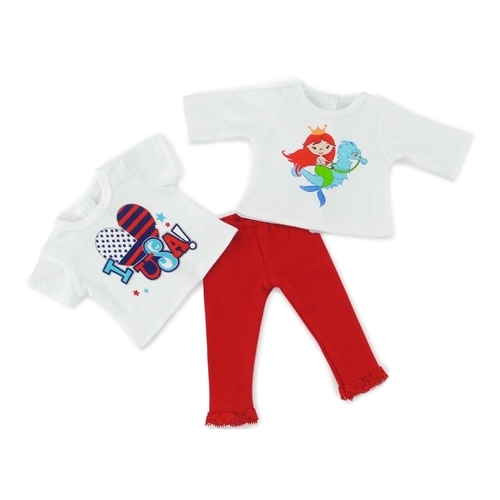 One tee shirt is short sleeved and has a fun "USA" red, white and blue patriotic graphic, and the second t-shirt has 3/4 length sleeves and features a colorful mermaid graphic. 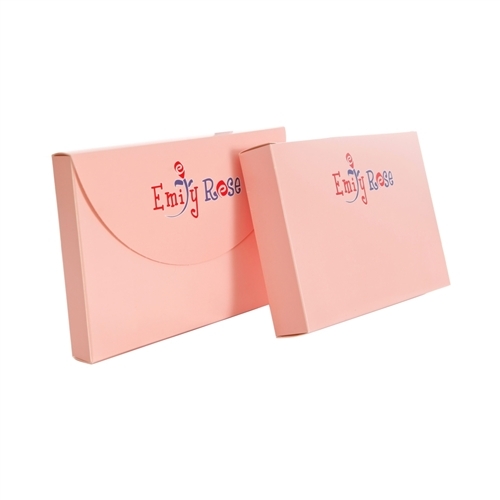 This value pack doll outfit comes packaged in our special pink Emily Rose gift box and is a versatile addition to your 18 inch doll's wardrobe! 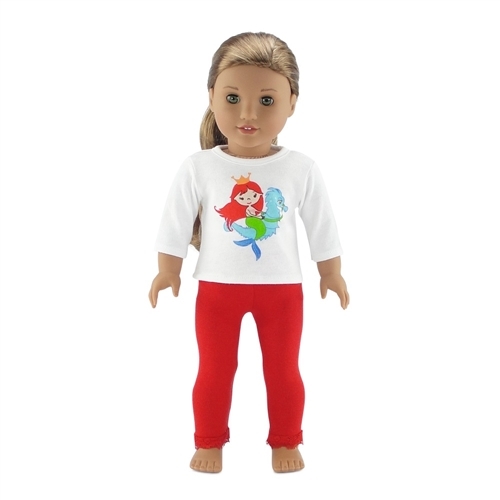 18" doll outfit includes 2 soft, white graphic tees, one is a short sleeved USA themed T-shirt and the second is a colorful Mermaid 3/4 length sleeve shirt. This awesome outfit also includes a pair of beautiful red lace leggings, a perfect wardrobe building accessory!